You don't want to spend 100s and 1000s of dollars on buying commercial software for imagery analysis and GIS ? MY COURSE IS A HANDS ON TRAINING WITH REAL REMOTE SENSING AND GIS DATA ANALYSIS WITH GOOGLE EARTH ENGINE- A planetary-scale platform for Earth science data & analysis; powered by Google's cloud infrastructure. ! My course provides a foundation to carry out PRACTICAL, real-life remote sensing and GIS analysis tasks in this powerful cloud-supported paltform . By taking this course, you are taking an important step forward in your GIS journey to become an expert in geospatial analysis. Why Should You Take My Course? I am an Oxford University MPhil (Geography and Environment) graduate. I also completed a PhD at Cambridge University (Tropical Ecology and Conservation). I have several years of experience in analyzing real life spatial remote sensing data from different sourcesand producing publications for international peer reviewed journals. The course contains 3.5 hours of step-by-step videos lessons that will guide you through the process of becoming an expert in Google Earth Engine! 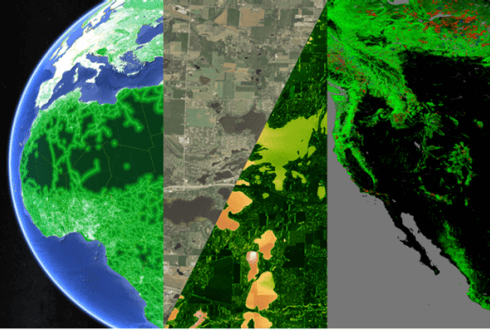 Do you analyze Remote Sensing imagery for your work? Do you need to perform GIS analysis in your professional/educational life? What are you waiting for? Checkout the curriculum and enroll now!